The AGC Student Chapter is a student-led organization that is comprised of students in construction-related programs of study. The AGC Student Chapter supports the mission to “lead and improve the professional construction industry with Skill, Integrity, and Responsibility” through promoting these values in our coursework, club activities, and the work we do at Chattanooga State and in the surrounding community. We operate in partnership with AGC of East Tennessee (local affiliate) and AGC of America (AGCA) to deliver quality services, leadership, and expertise to our members. 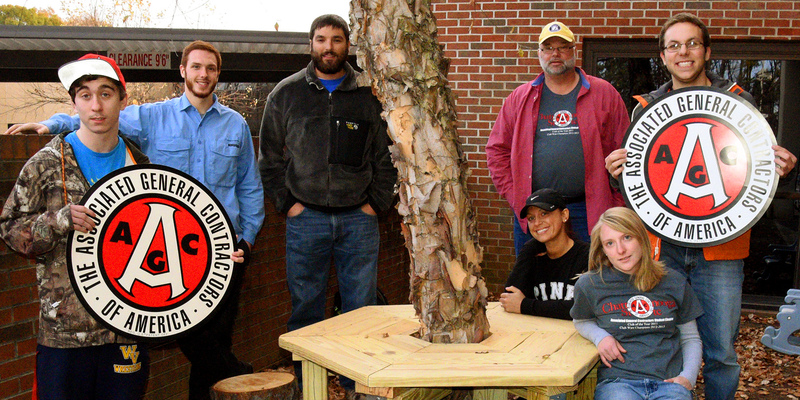 The AGC Student Chapter has received many honors on the Chattanooga State campus. We were the winner of Club Wars in 2012-2013, and earned the honor of Club of the Year in 2010-2011 and 2013-2014, and 2014-2015. To join the AGC Student Chapter at Chattanooga State, text “@agcst” to 81010 and complete the membership application. AGC of East Tennessee is the local AGC affiliate and offers many benefits of its membership to student chapter members. Check out the networking, scholarship, and professional development opportunities through AGC of East TN. Membership in the AGC Student Chapter is a great way for 2+2 Construction Management majors to transfer to UTC and get plugged in with their AGC Student Chapter. The Tennessee Building and Construction Institute is another great resource for students interested in entering the construction industry. Check out information on education pathways, careers, scholarships, and job opportunities.